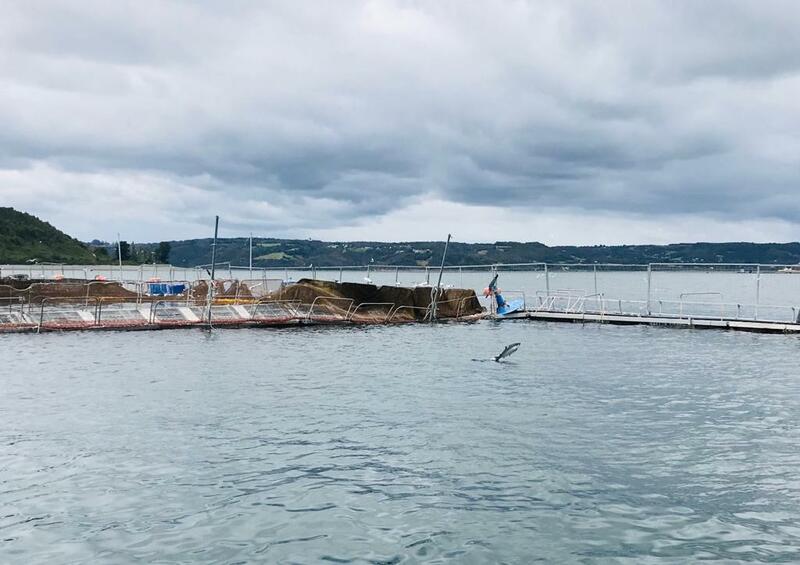 After the salmon escape from “Tubildad” center owned by Ventisqueros on December 26, 2018, the Environment Superintendent (SMA) ordered the salmon farming company to take provisional measures. The escape provoked environmental risk, according to SMA, which must be addressed with measures to recapture or correctly dispose of the fish. After analyzing the cultivation center, the authority ordered the company to implement a periodic inspection program along the coastline of Quemchi commune (Chiloe province) to properly dispose of new mortalities. Ventisqueros must also present a weekly report of the location of the dead fish, georeferenced photographs, number of saved fish, and measures for disposal. The company must execute a program to recapture the escaped salmon and update SMA on a weekly basis about the progress. All of this measures must be completed during the next 15 days.